The Centers for Disease Control and Prevention (CDC) published a study in JAMA earlier this week detailing the sales of JUUL electronic cigarettes from 2013 through 2017, and the findings show a rapid increase in sales in just the last year. While all e-cigarettes contain nicotine, JUUL was found to contain the most nicotine of any e-cigarette, though that didn’t stop teens from purchasing them. The USB-shaped e-cigarette was the number one e-cigarette in the United States by December 2017, and sales increased from 2.2 million devices sold in 2016 to 16.2 million devices sold in 2017. Many people -- particularly young people -- turn to e-cigarettes because they perceive them to be a healthier alternative to traditional cigarettes. However, in addition to the countless chemicals found in e-cigarettes, the CDC warns against several other health risks that are associated with them. Additionally, much of the marketing for e-cigarettes seems aimed directly at the younger generation, as the companies look to focus their attention on their prime audience. However, as the Food and Drug Administration (FDA) pushes its Youth Tobacco Prevention Plan, the agency is working to change the nature of these ads. The FDA has also set its sights on over one thousand stores, as many retailers have been selling JUULs and other e-cigarettes to underage teenagers. The agency is looking for accountability from these establishments, and in addition to sending warning letters to known retailers selling to minors, has demanded answers about how these stores plan to combat this issue in future marketing materials. JUUL hasn’t been able to escape the news cycle as of late. Earlier this week, the FDA seized over one thousand pages of documents from the e-cigarette company as part of an unannounced inspection of the company’s headquarters in San Francisco. 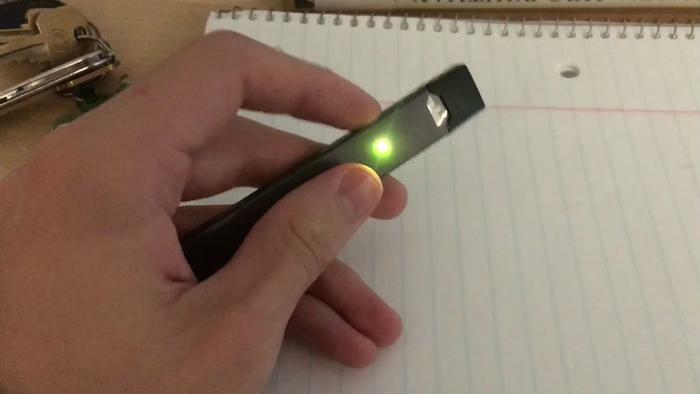 The FDA reported that the investigation was an attempt to seek “further documentation related to Juul’s sales and marketing practices, among other things,” according to a statement. The investigation came shortly after the FDA announced it was looking to ban the sale of e-cigarettes online. FDA Commissioner Scott Gottlieb said that the ease with which teens can access e-cigarettes has caused an “epidemic,” and the agency is working to minimize the use of tobacco by underage teens. “E-cigs have become an almost ubiquitous ‒ and dangerous ‒ trend among teens," Gottlieb said in a statement. "The FDA won't tolerate a whole generation of young people becoming addicted to nicotine as a tradeoff for enabling adults to have unfettered access to these same products."